Back for a moment from the depths of the jungle before taking flight again to Portugal, Naomi Jason shares presence and invites you to join her to take a deeper dive into your imaginative body and dance the dreamer from the inside. Cultivating stillness and listening through guided meditation and qigong we will move our dreams into authentic movement, witnessing and vocal play. 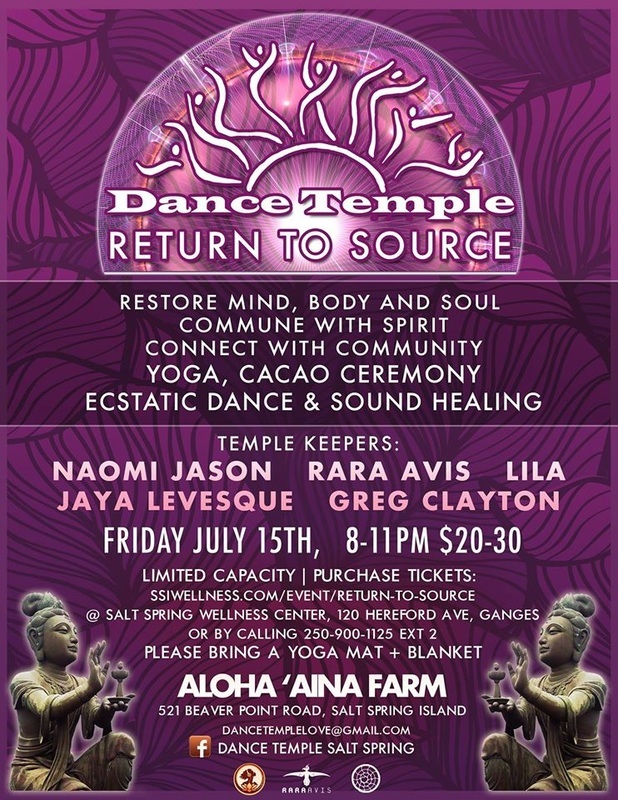 Dance Temple and Wisdom of the Earth unite for this unique opportunity to explore our deep connection to the natural world, our community and our selves. You were born wild and free, with natural impulses, a creative fire and instincts to sense the known and the unknown. When allowed to be fully formed these keen instincts inform and guide your spirit with crystal clear vision and direction. Your wild self is fully at home wherever you are. It's time to let your wild one out to roam! Join Vanya, Jean Claude and Ingrid for WILD IMPULSES where you will be guided and supported to explore and remember your wild self through dance, song, sensory awareness games, and a special opportunity to connect deeply with the natural world where your own inner guidance will lead you to your own wild truth. This is a rare opportunity, not to be missed! To relax into your dance? To truly listen to what wants to move in you? 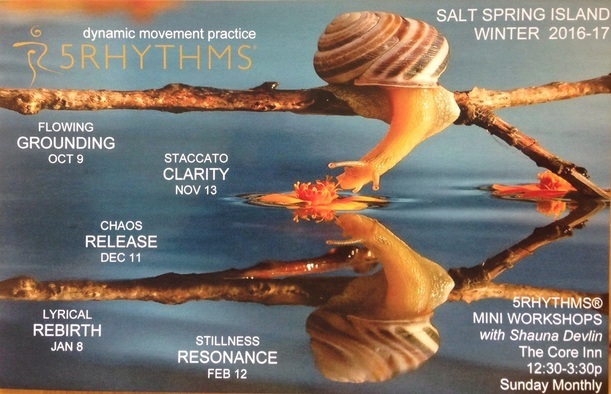 qigong, yoga, journaling, hakomi, held in a safe space with great music live and recorded to dive into your true expression! 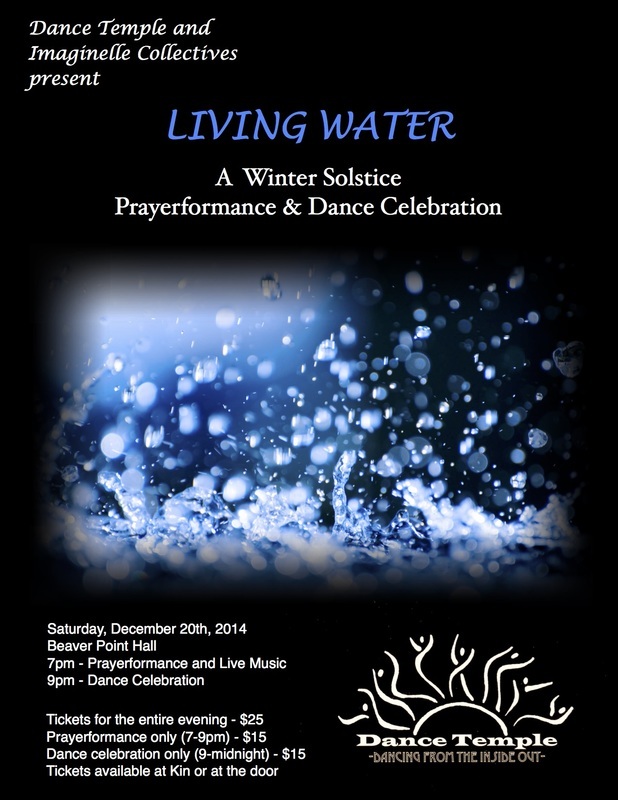 Led by Dance Temple Facilitators Naomi Jason, Vanya Laporte, Cedar Soulfeather, Shauna Devlin and Lila Spencer. 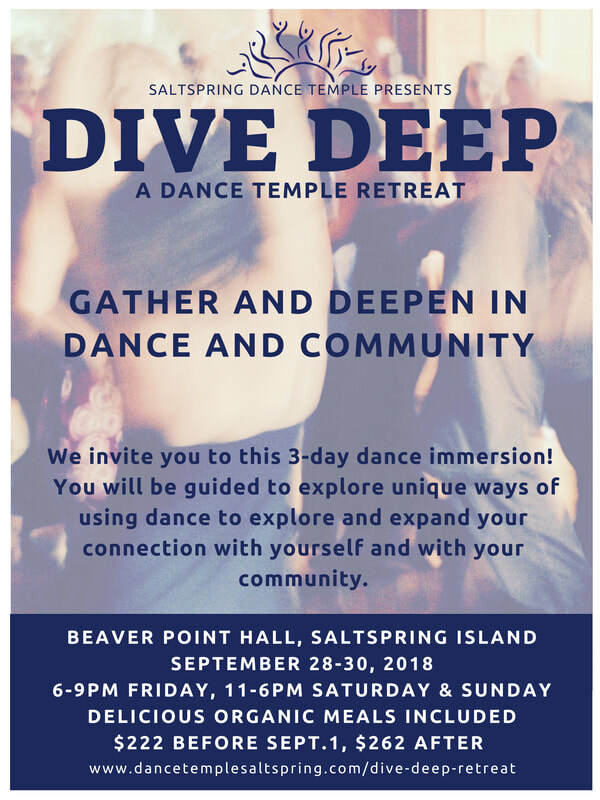 Each bringing a range of skills, training and years of experience in holding sacred space, we’re brewing up a beautiful day of deepening into dance together!! 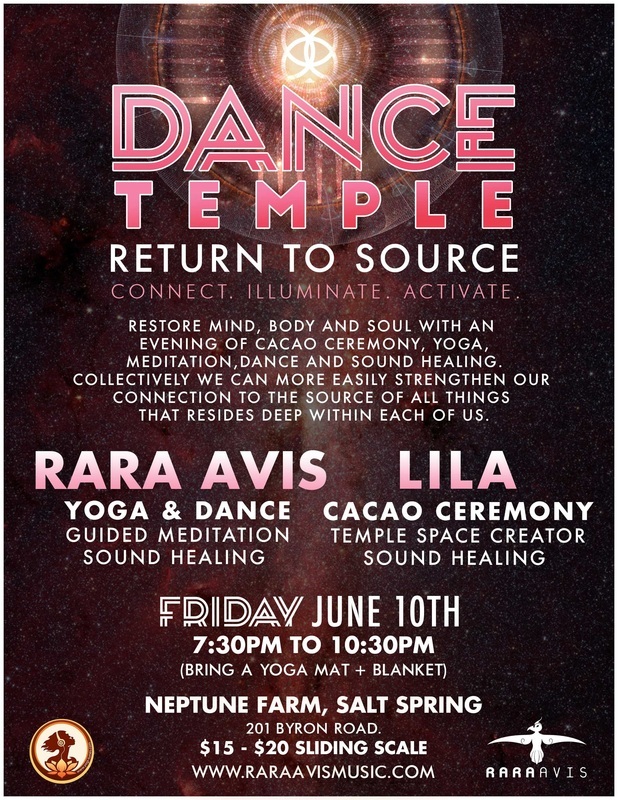 Dance Temple presents a very special collaboration night of sacred prayer and music from far and wide. Murray Kyle (AUS) Hanna Leigh Music, and Sadie Ranen (MAUI) are on a west coast US/CANADA tour and will be joined by the blessed support of Ganga Giri. From the creative epicentre of the Byron Bay region in Australia comes the medicine music of Murray Kyle, a renowned troubadour with over 15 years of performing straight from the heart to endearing audiences around the globe. Murray's powerfully gentle songs have established him in the sacred and devotional music scene as a highly respected performer sowing his seeds of inspiration into this world. Murray is touring the west coast through August and September, with his latest release 'Arrow to the Sun' under his wing. Joining him on stage is Hanna Leigh, a Maui-based sacred song carrier who has recently birthed her debut album entitled Nourish. Hanna lifts her voice in prayer with traditional chants, and original heartsongs,to uplift and nourish the spirit and the land. Also on vocals is the beautiful voice of Sadie Ranen. Together these musicians carry powerful prayers that fan the flames of the one heart in these times of transition. outside BPH on the lawn! This is not a potluck but a picnic. Bring your own food and come share in the conversations as we continue to get to know and learn about each other outside of the dance floor. Bring your own cutlery, bowl, etc. so that we are not creating more dishes in the kitchen. The facilitator/DJ will be setting up indoors and the picnic will happen outdoors. Doors will open at 7pm for the warm up and dance space to begin. 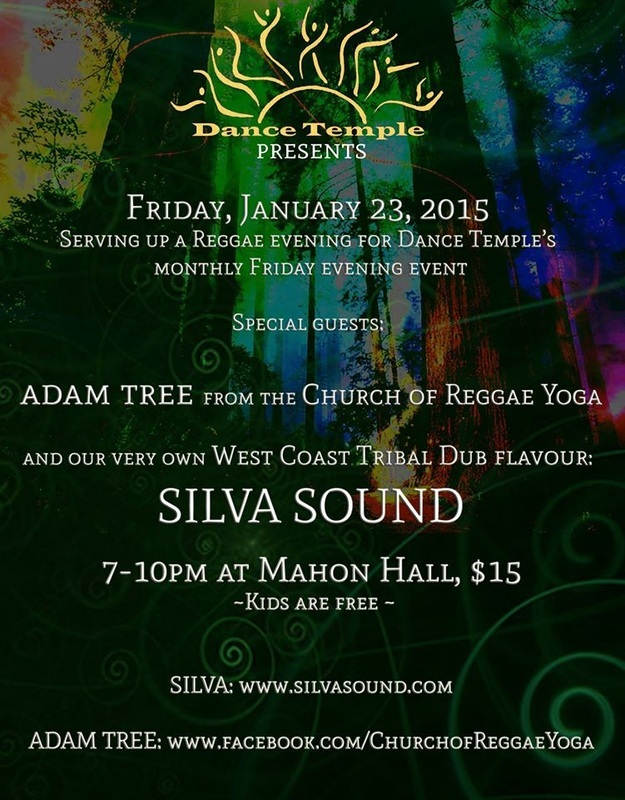 Dance Temple proudly presents the amazingly talented Montreal band: Shtreiml!! -on tour to folk fests on the west coast - and making a stop on Salt Spring! Come out and get your dance on! Shtreiml are the Canadian Folk Music Award Nominee - 2014 World Group of the Year. Enchanting and ornate - Oud player and vocalist Ismail Fencioglu is a true master of Turkish music. He's a rare talent whose soaring vocals and fleet fingered oud playing conjure images of the Bosphorus at sunset and truly transport the listener to a different time and place. Together with composer, pianist and harmonicist Jason Rosenblatt one of the world's premier harmonica players, disciple of Howard Levy, and an innovative composer of new Jewish music, Shtreiml & Ismail present EASTERN HORA a program of compelling original music rooted in the Jewish and Ottoman traditions, but brimming with hard rock sensibilities and dextrous improvisational know-how. Joined by the rest of Shtreiml the group features Rachel Lemisch (trombone), Thierry Arsenault (drums) and Joel Kerr (bass) - The program which has been presented at concerts, festivals and venues in Canada, The U.S. and Europe has been labeled "explosive" (Halifax Chronicle Herald) and "exhilarating"(Rootsworld). "This is innovative instrumental music which refuses to be pigeonholed by simple categorization, from a band that continues to impress." "The music played by the Montreal-based collective can more succinctly be described as Turkish blues. The interplay between Ismail Fencioglu, an oud virtuoso from Istanbul, and harmonica player Jason Rosenblatt, wasn't far removed from the partnership of the legendary Chicago blues duo of Buddy Guy and Junior Wells"
Join us for a very special Dance Temple where we unveil and celebrate the Plenty Project's season of activities. Potluck at 6pm, unveiling at 7 - dancing at 8~ and capped off with a community music jam! Mahon Hall, $15 *proceeds go to fund Plenty Project initiatives. Dance Temple Collective and Friends invite you to join us to shed our last winter skins and welcome in the spring! 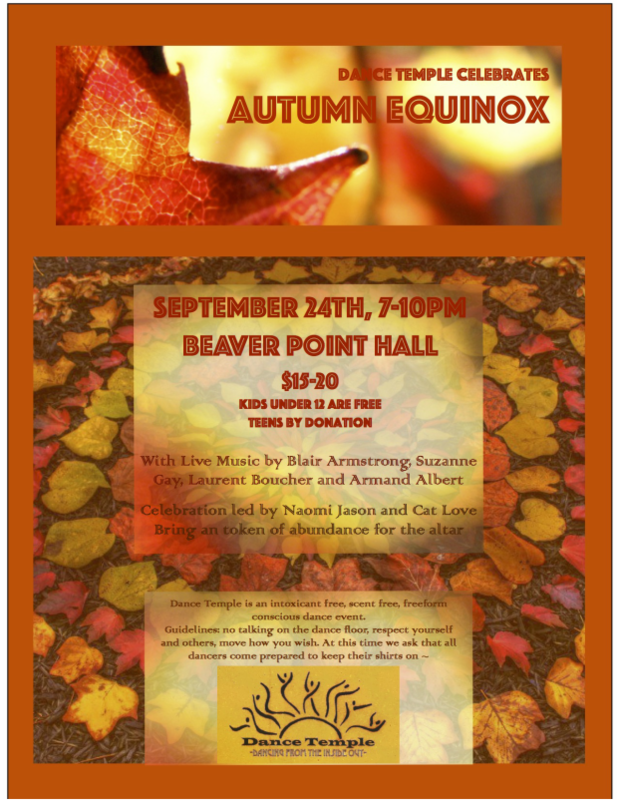 Special musical guests Andy Ramesh Meyers, Suzanne Gay, Ananda Sinclair and Blair Francis Armstrong with house djs Cedar Soulfeather and Naomi Jason ! 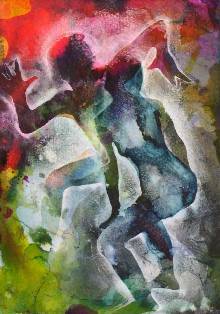 Join us for a special Sunday ecstatic dance workshop for women! Facilitated by Vanya who has been facilitating Dance Our Way Home (DOWH) for women for 3+ years and will be presenting DOWH at Hollyhock this year in October. 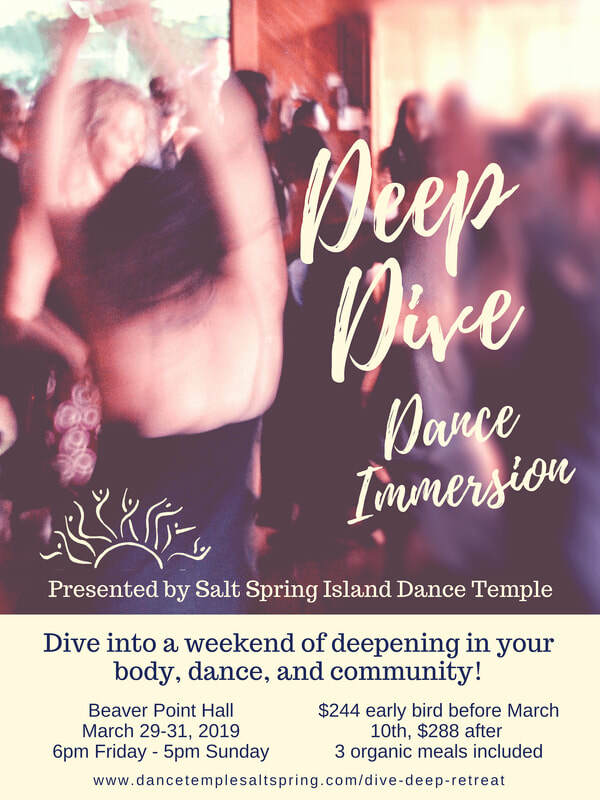 In this dance workshop we will explore making intentions, relaxation, breath, sensation and movement, we will create our own sacred space within, blessing our sanctuary of body, mind, heart and soul- our HOME.